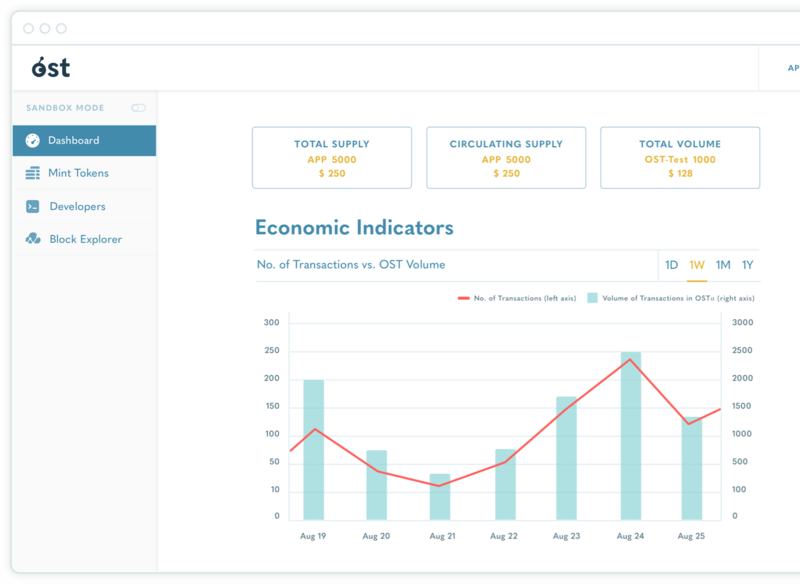 OST Platform provides easy to use management dashboards for token economy setup. Mint your tokens first in Sandbox mode to quickly explore, learn, and test. Use our robust RESTful APIs and SDKs to integrate your Brand Token into your applications with ease while observing the highest security standards. 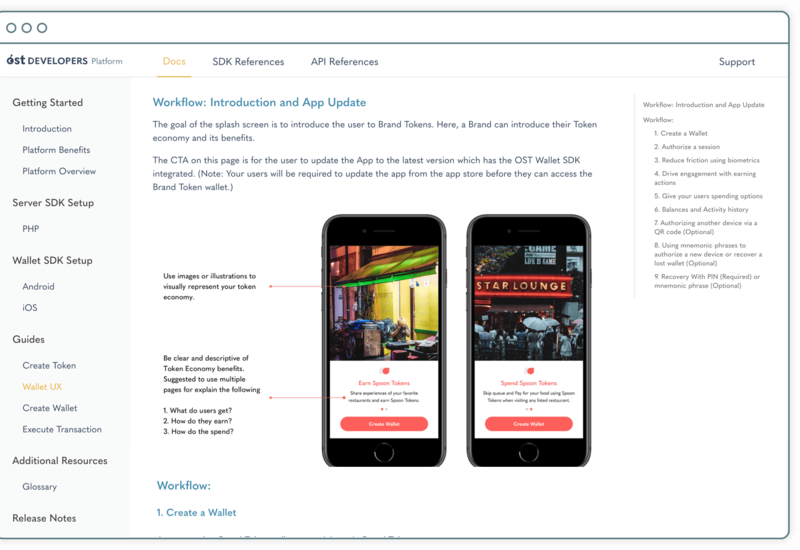 OST Platform makes it simple to test and deploy your brand currency without requiring in-house blockchain developers. Follow our Developer Guides and documentation to learn best practices for Brand Token integration and security. 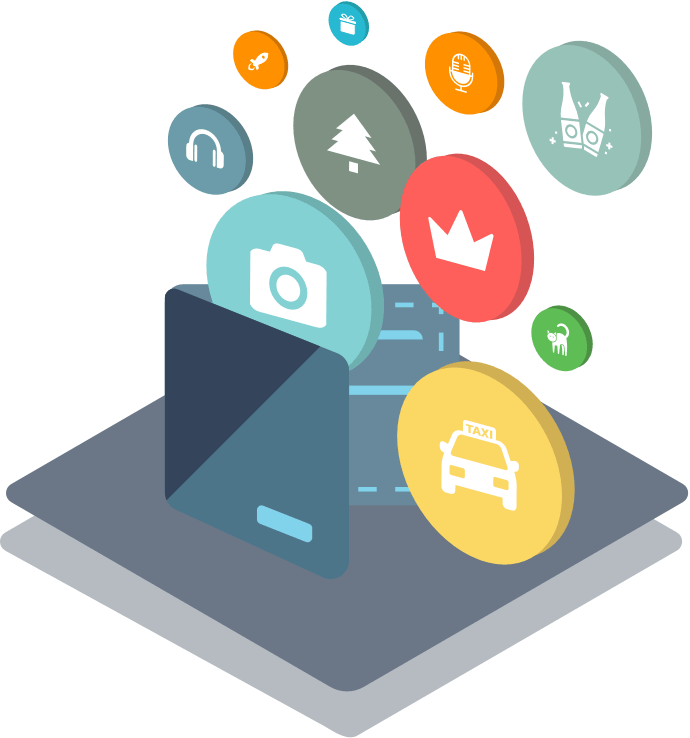 Our RESTful APIs help you easily set up users and transactions, and easily integrate your token economy into your existing apps, without requiring any blockchain coding expertise. 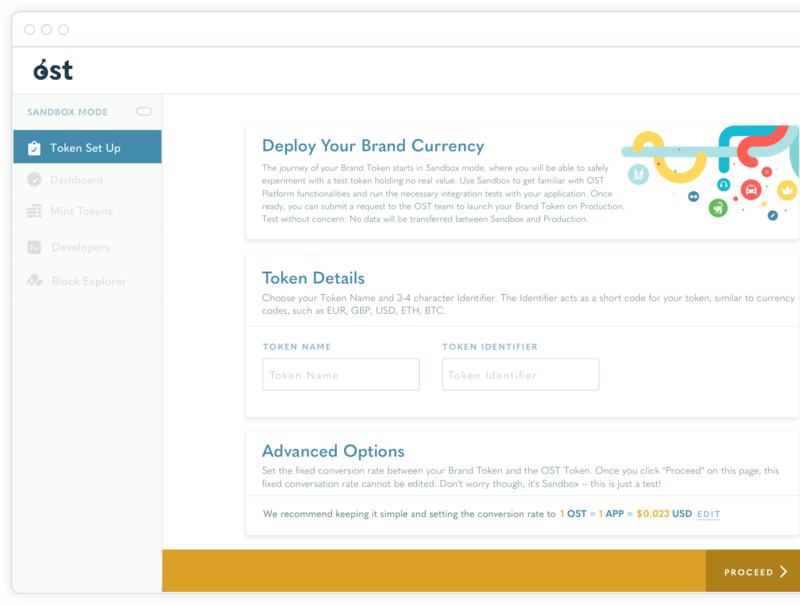 OST Platform Analytics provide detailed insights into your brand token economy, enabling you to learn and adjust as you innovate. The future of brand loyalty is open, transparent, and interconnected. OST Platform enables you to choose from a wide range of places for your users to redeem their tokens. 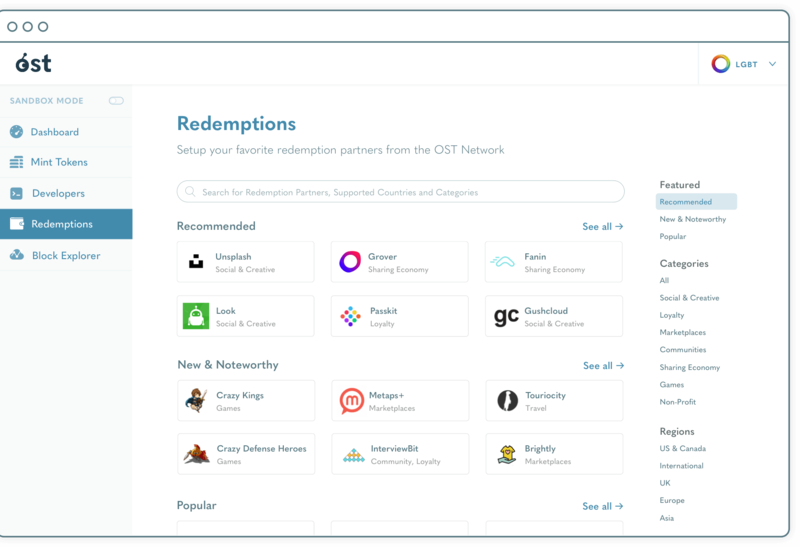 OST also enables you to earn fees on every redemption. OST is designed for internet-grade transaction volumes and speeds. OST leads development of the OpenST Protocol for launching Branded Token economies for mainstream businesses and OpenST Mosaic, a scaling solution for finalizing many thousands of transactions per second asynchronously on Ethereum at low cost. The OpenST Protocol enables the creation of Brand Tokens as stored value on auxiliary blockchains with the value of those tokens backed by staked cryptoassets on Ethereum. 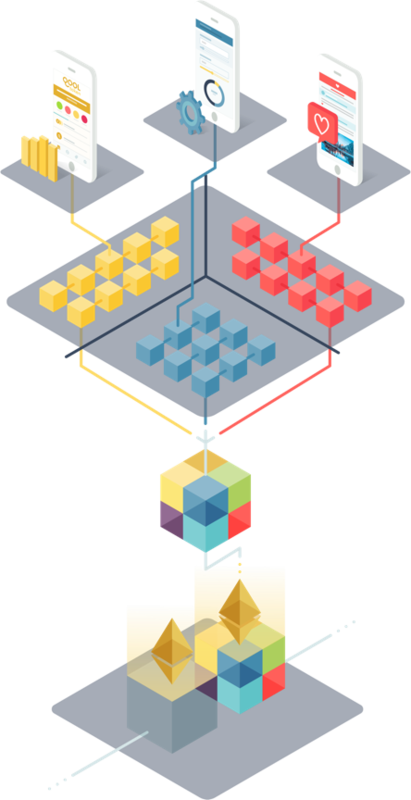 OpenST Mosaic introduces metablockchains to enable internet-grade transaction throughput on Ethereum. Your transactions run at lightning speed on auxiliary blockchains with economic finality secured asynchronously on Ethereum. OST provides a complete range of blockchain solutions to enable our clients to create the future of brand loyalty. View and analyze transactions across the OST blockchains. Get a macro view of the entire OST ecosystem. Zoom in to view transactions within a particular OST powered digitial community. OST KYC is a complete KYC/AML management solution for token economies. Process thousands of applicants smoothly and securely. Integrated into OST Platform and also available as a standalone service.